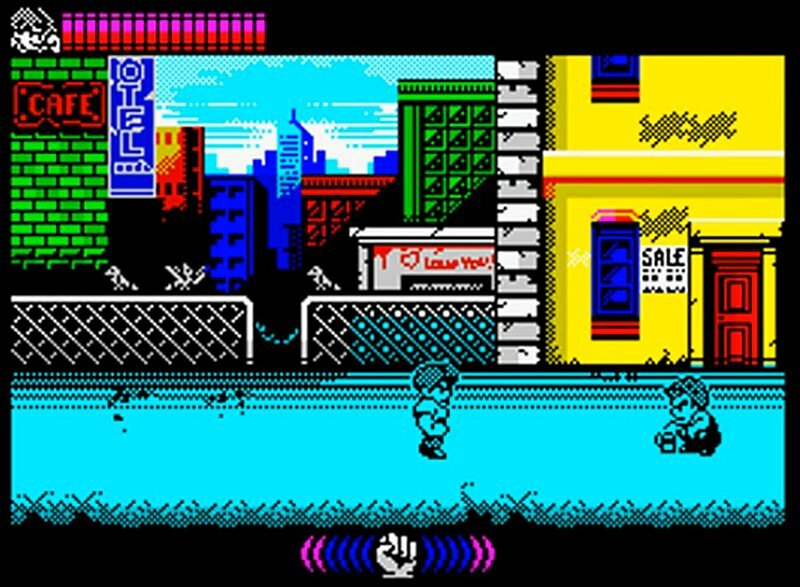 Indie Retro News: Mighty Final Fight - A special Demake announced for the ZX Dev2017 compo! Mighty Final Fight - A special Demake announced for the ZX Dev2017 compo! The ZX Dev competition is really heating up now especially with games such as Gandalf, Starforce/Megaforce, Saving Kong and Gimmick! Yumetaro Odyssey, all aiming for a percentage of that massive prize 741€ and a cassette of Thrust for the ZX Spectrum. But today as a heads up via our Twitter page, sanchez has announced for the ZX-Dev Conversions compo he is doing a "demake" of the Final Fight NES spin off game as Mighty Final Fight! Now I'm sure most of you have heard of Final Fight, which was a fantastic beat em up released in the arcades by Capcom, with later ports on systems such as the Amstrad CPC, Atari ST, Amiga, C64, ZX Spectrum, SNES and even the Mega Drive. But Mighty Final Fight was a spin off the original game and unlike the SNES port, the characters were created in a chibi art style for the NES released in 1993. This ZX DEV demake follows the NES version and goes all out on the ZX Spectrum and will feature 3 heroes each with his own style of fighting and ending, 5 levels with various enemies and stages, a different combat system, AND designed for the 128k with each level loading separately.